What About Fossils? - READY... SET... QUESTION! Yes, I have a fossil collection. As a young boy, I couldn’t think of anything more interesting than fossils and dinosaurs. Most birthdays or at Christmas, I would receive some sort of chisel, pick hammer, or rock polishing equipment. I would save up and buy fossils, but once the word got out that I was a collector people just started giving me really great images captured in stone. For the most part, an image is what a fossil gives. Essentially, fossils do not contain organic matter anymore, because the body of an organism is replaced by minerals and sediments. So, what can we know about fossils? When I say know, I actually mean what empirical data can be verified? Did you know that there have only been two types of fossils ever found? The most famous type of fossils are the ones that represent organisms that are extinct, like the T-Rex. Yet, there is another set of fossils that are less famous. 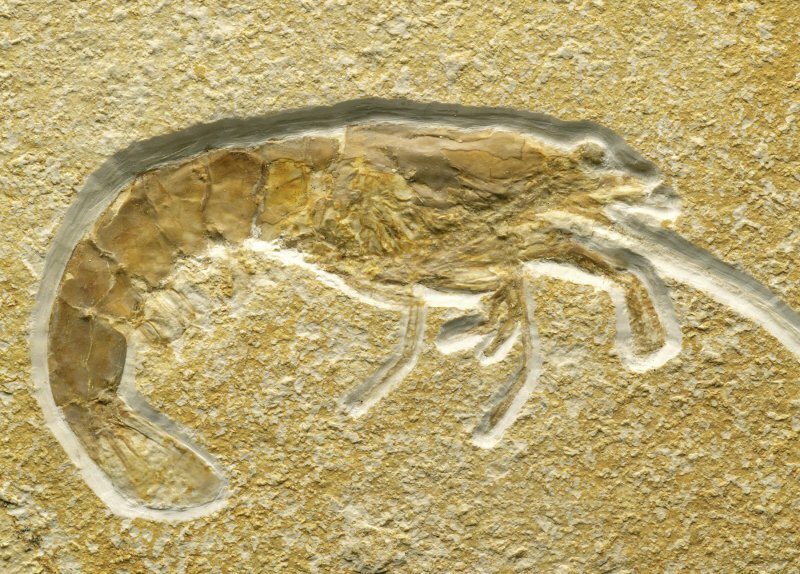 The second type of fossil that has ever been unearthed are those of extant organisms, like a shrimp. Extant is the opposite of extinct, it means that said organisms are still found living today. If all fossilized specimens can be placed into the category of extinct or extant, what does this tell us about evolution? Neo-Darwinian evolution predicts that due to natural selective pressures, mutations and genetic drift add up causing the emergence of new and diverse, genetically isolated organisms (species). According to our current understanding, all living organisms evolve. If a fossilized organism is found to be identical to a living organism today, cause in point the butterfly from a previous post, paleontologists tend to classify it as a unique species that is different from its extant (living) counterpart, but why? What empirical data verifies the necessity for classifying two identical organisms as separate and unique species? Why not classify fossilized shrimp with its living counterpart under the same scientific name? Could it have to do with the highly scientific value of empirical data? If empirical data shows that some organisms do not evolve, what would that say about the scientific validity of our current understanding that all living organisms evolve? Perhaps, some organisms evolve and others do not? Many claim the fossil record to be a great representation of how evolution works, but does it? One type of fossil shows amazing and unimaginable organisms that are now extinct. We cannot compare these types of fossils to a living counterpart and gain empirical evolutionary data. On the other hand, we can compare fossils of extant organisms with their living counterparts and actually gain empirical evolutionary data. The empirical data that has been scientifically gathered in the absence of inference and extrapolation shows all extant organism found in the fossil record to defy evolution. Eon after eon has passed, natural pressures have been hammering down on the humble shrimp, and nothing has changed. If shrimp can defy evolution and we can actually observe this fact, why then would we assume organisms we cannot observe to have evolved? What logic and empirical data verifies evolution when it comes to the fossil record? Shrimp are not alone, many other extant organisms alive today have been defying evolution for eons. 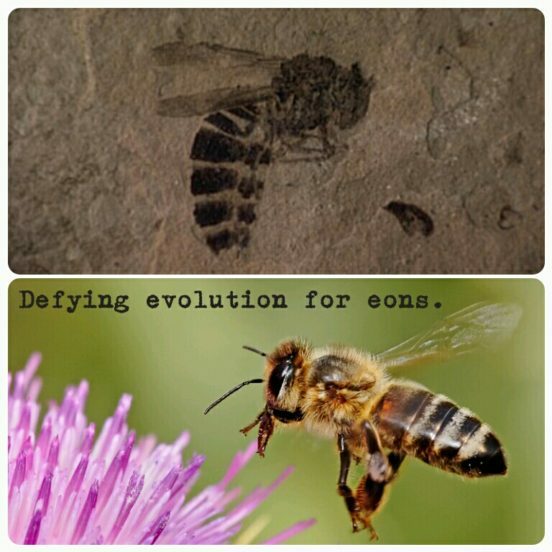 The question is begging for an answer, what is evolution? I dive deep into this rabbit hole and present many other questions in my new book What Is Evolution, enjoy! Previous PostDid Evolution Give Us Surfing?Next PostAre Questions Part of Science?